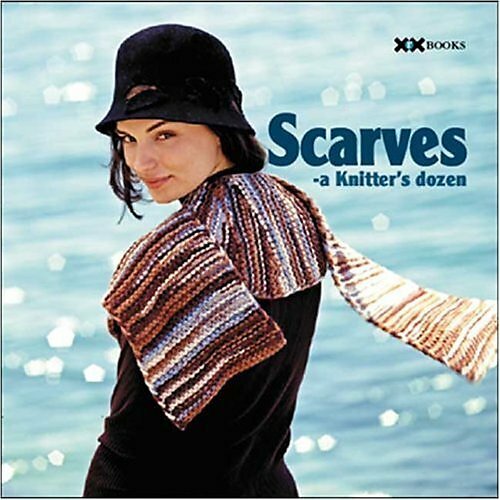 This shawl is on the cover of the magazine issue. 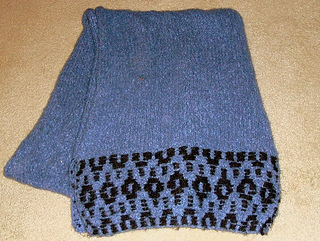 Contrast color accent wool yarn is woven in a pattern to add interest to this scarf/shawl with pockets. Fiesta La Boheme or Berroco Memoirs might work instead of the discontinued Samo yarn. 640 yds. required, plus 88 yds. (one skein) of the CC wool.